and they hired a design-thinking, Information Architect like Sister Circuit. NASA needed to replace their current robotic artificial intelligence resource, Spheres, with an updated version named Astrobee. The new bot will serve as an assistant and researcher to Astronauts on the ISS. But the assistant needs a new arm in order to safely grip surfaces in a zero-gravity environment. 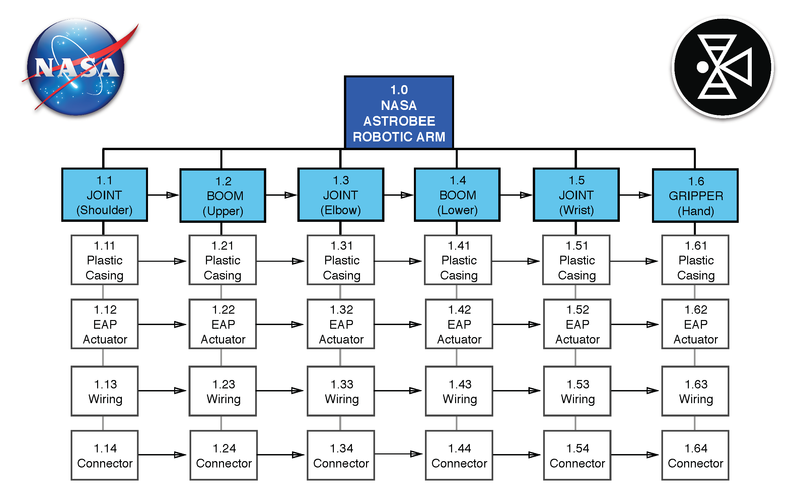 The decomposition and user experience design of the systems architecture of the robotic Arm for Free Flyer Robot, Astrobee, on the International Space Station. Remotely designed and decomposed the systems architecture for Astrobee’s robotic arm that is safe, durable and agile in zero-gravity environment. UX Consultant and Systems Architect. Robotics research, data tabling analysis, systems and product design, skill-mapping, design consulting to NASA. Astrobee will serve as NASA Astronauts’ new assistant and researcher. The bot will replace their current artificial intelligence resource, Spheres, and begins utilisation on the ISS in 2017. Astronauts and robots currently work together to perform a number of different tasks supporting research, operations and maintenance on board human space flight vehicles like the International Space Station. One type of robot NASA is developing is a next generation free flying robot for testing and operation on board the International Space Station. 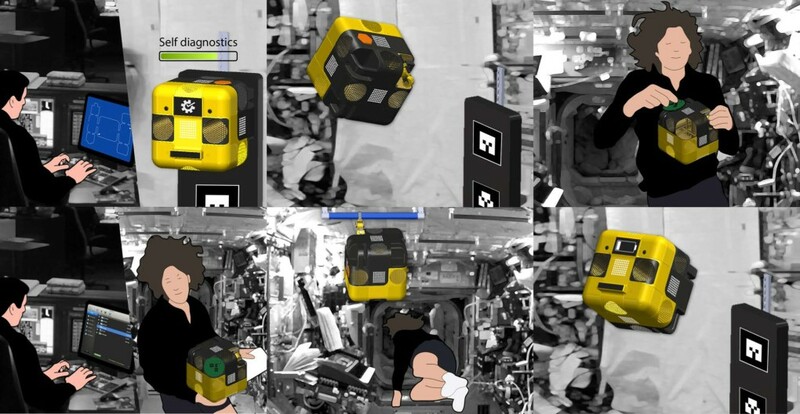 A free-flyer robot is one that has the capability to move around inside the space station on it’s own without interfacing or interfering with the space station. This type of robot can perform a number of tasks that can be routine, repetitive, or simple but long duration such as surveys and inspections, serving as a mobile sensor platform, or even as a mobile camera to film activities or special events like astronauts speaking to school children. Although not considered a fully capable robot, NASA currently has a platform named SPHERES on the International Space Station – http://www.nasa.gov/spheres. The new free-flyer robot being developed will have many new capabilities but one of the principle additions is a robotic arm. At the highest level, the overall robotic free-flyer system includes the robot, a dock/resupply station for replenishing power, and hardware and software for communication, control and data transfer (Figure 1). The free-flyer robot element consists of structure, propulsion, power, guidance, navigation & control (GN&C), command and data handling (C&DH), avionics, communications, dock mechanism, and robotic arm subsystems. The robot element is designed to be self-contained and capable of autonomous localisation, orientation, navigation and holonomic motion as well as autonomous resupply of consumables while operating inside the International Space Station. A typical user case scenario would be for an operator on the ground to run a plan that commands the robot to fly autonomously to a specified location while under operator supervision. 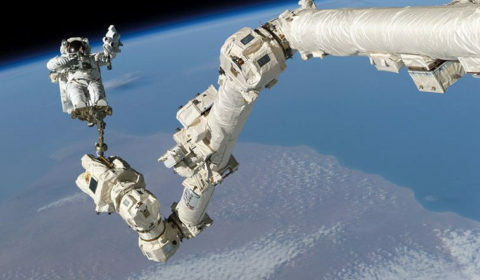 The robot would then use its arm sub-system to grip onto a specified handrail along the walls of the International Space Station and standby until its next command. The operator would then command the robot to begin recording video and downlink its live video stream. If needed, the operator could adjust the camera orientation from the perched location, using the arm subsystem, to ensure unobstructed video is being captured. If desired, the operator could also command the robot to un-perch (release the grip) and then tele-operate or command it to autonomously relocate to change the perspective of the camera. When the task is complete, the operator would then command the robot to return to its docking location either via a new plan or tele-operation. Many of the challenges faced by the robot and the development of its arm stem from operation on-board the International Space Station. In particular, operating in close proximity to astronauts and critical systems on the International Space Station requires special attention. 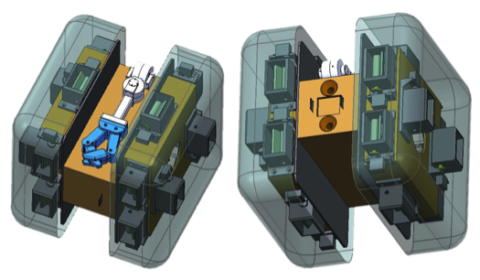 The robot and arm subsystem’s design must strike a delicate balance between meeting performance requirements and providing an inherently safe system and sub-system. A robot such as this also needs a way to hold still, grip, and/or grasp objects to conserve energy, maintain a specific position, or to carry out a task. The proposed method for this would be a type of robotic arm sub-system that, must have at least a compliant 2 Degree-of-Freedom (DOF) capability plus an ability to grasp, which would allow it to grab handrails and hold its position without using its propulsion system, minimising power required. Here is a summary list of requirements for the Arm Sub-system. Shall remain within the mass allocated of 1kg. Shall remain within the volume allocated of approximately 6 x 4 x 10 inches. Shall be capable updating software and firmware. Shall pan at 90 degrees in 15 seconds. Shall tilt at 90 degrees in 15 seconds. Shall have joint angle resolution of 1 degree. Shall have minimum bend radii of 3mm. Shall pan at least -90 to +90 out from center while perched. Shall tilt at least -30 to +90 out from center while perched. 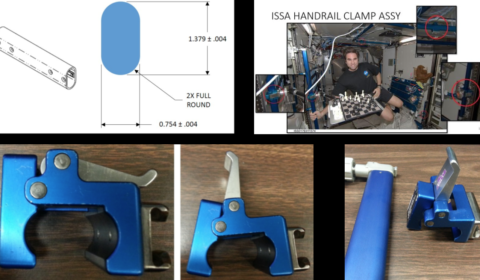 * Shall be capable of grasping ISS IVA handrails. Shall allow crew to manually perch arm and gripper to handrail without requiring power from actuators. Shall release when the Free-Flyer is impacted at 556 newton. Shall remain perched while experiencing a force of 4 newtons. Shall change position with less than or equal to 8 lbs-force. Should be packaged as replaceable modular components or as an entire unit as a minimum. Should minimise the number of mechanical attachment screws for components. Shall only use capture screws. Shall protect crew members from sharp edges, protrusions, etc., during all crew operations. Translation paths and adjacent equipment shall be designed to minimise the possibility of entanglement or injury to crew members. The Arm Sub-system exposed surfaces shall be free of burrs. Shall protect crew members from pinch hazard at arm joints. Shall support 6 hours of non-flight, perched activity. Shall remain within the power allocated of 1W with peak power 5W (moving). Shall be designed such that it can be removed or returned to its stowed configuration by the crew with hand operations and/or standard IVA tools within 10 minutes. 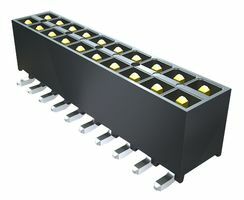 The unpowered Arm Sub-system shall not be damaged by Electrostatic Discharge (ESD) equal to or less than 4,000 V to the case or any pin on external connectors. EPCE that may be damaged by ESD between 4,000 and 15,000 V shall have a label affixed to the case in a location clearly visible in the installed position. 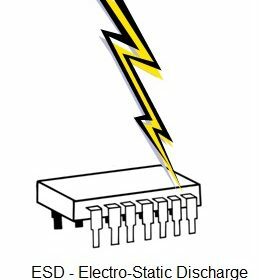 Labelling of EPCE susceptible to ESD up to 15,000 V shall be in accordance with MIL-STD-1686, Electrostatic Discharge Control Program for Protection of Electrical and Electronic Parts, Assemblies and Equipment (Excluding Electrically Initiated Explosive Devices). These voltages are the result of charges that may be accumulated and discharged from ground personnel or crew members during equipment installation or removal. Robotic arms or manipulators are common in many industrial, commercial, and hobby environments. The form a robotic arm can take varies greatly. Also the approach that teams take to build those arms can vary and the approaches can potentially limit the implementation options of those arms. 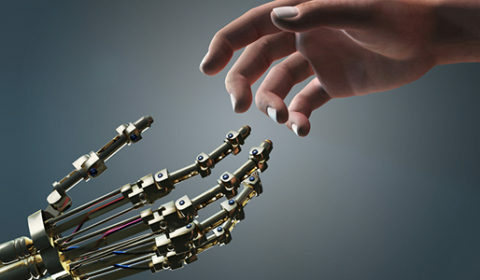 The approach for designing a robotic arm would start by generating a system architecture. In other words, what are all the parts of the system, how do they interact with each other, what are the requirements and how are they related to all the parts of the system. When determining the parts of the system, engineers typically use the process of decomposition which results in an breakdown of all the parts. This decomposition process, including the design trades that are made, requires the designer to break down and decompose the system into a basic breakdown structure that enables each function and capability to be addressed methodically. There are many approaches to this process and different disciplines engaging in this process will result in many answers for any given system. We are interested in exploring the differences in the way people go through this process and the resulting decompositions they come up with. 1. A graphical depiction of the decomposed structure with any interdependencies noted. 2. A written description demonstrating completeness of the decomposition. 3. A written description of the decision process on why the decomposed structure was chosen. 4. 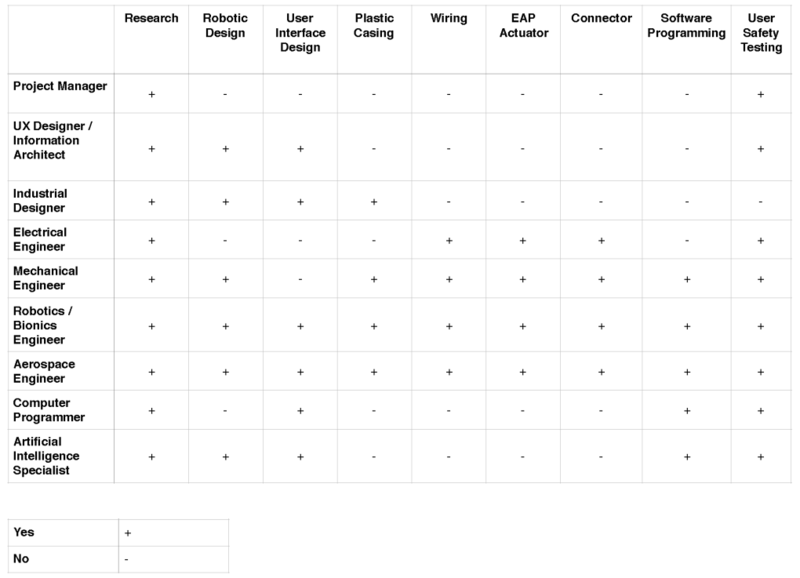 A written description for each decomposed element of the system stating the knowledge and skills required to design and build that element with a mapping to the skill category. Decomposition description of flow down and process explanation. The plastic casing will encompass each component within the arm’s skeleton. According to http://www.space.com/21561-space-exploration-radiation-protection-plastic.html, plastic shielding can reduce radiation from space’s atmosphere even better than aluminum. 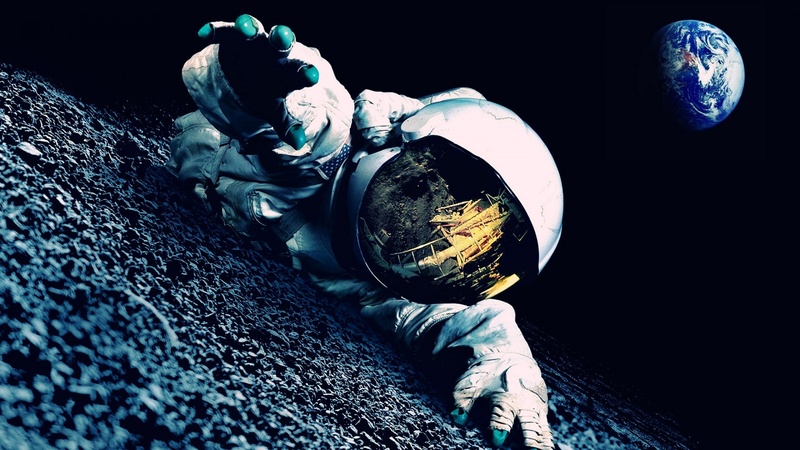 This lightweight material can exude the longevity of the robotic arm, dissipate any electrostatic discharge buildup, and protect the astronauts from physical injury as well as any onboard devices. The Electroactive Polymer Actuator (EAP) measures information by acting as a sensor, where it will tell you what type of pressure it’s applying through a given task. This actuator will change shape upon applying an electric field to the material. It would be excellent to propel the arm’s leverage when lifting something up through pumping force of voltage. I could think of a few things needing lifting. In the event of a collision to clear away the wreckage, in moving heavy objects or rearranging the workspace. EAP generates voltage upon being stretched and allowed to rest, making it an excellent source of energy creation! This EAP capacitor can transmute its newly harvested energy into batteries or any type of electrical components along the ISS. This energy can be surged into Astrobee, so that he doesn’t have to go rest at the docking station. Lucky him. Or even to power the lights along the ISS front. Upon release of voltage, the portion that’s controlled within the arm would release grip. So this could be a matter of controlling the device via remote control or digital software. The dielectric elastomer film’s properties make up the Electroactive polymer actuators. 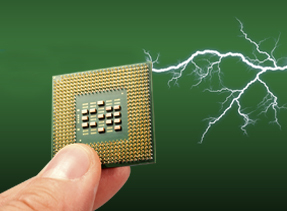 When they are strained and become tense, they are more resistant to electrostatic discharge (ESD). These actuators are lightweight and super strong, exceeding 100 times the strength of human muscle, if not more, dependent upon the volume. They are small and would fit nicely within a small robotic arm that compactable. This material drives lightening quick angular movement, taking about two milliseconds total. 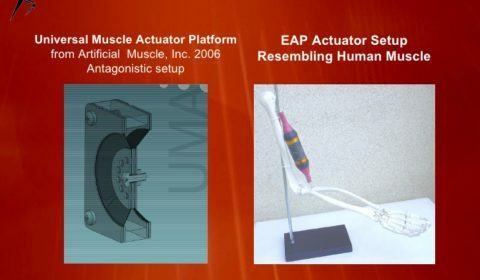 I would suggest reaching out to the company, Parker Hannifin, or Parker Aerospace, a mechanical and industrial engineering company who encompasses Electroactive Polymer (EAP) Technology at www.parker.com/artificialmuscle. The electrical wiring will be enclosed within PVC casing often found within engines. This withstands the tests of heat and atmospheric travesties. This system will either run wrapped and parallel to the EAP actuators, which will secure the wiring. The system will communicate via the connectors of the EAP that transmit sensory information. If this does not function properly, then it is proposed that we run off of an independent connector and/or bluetooth and remote controls via the computing system that will allow the arm to run autonomously or by control of the astronauts, as well as to upload/download data and perform firmware updates natively. 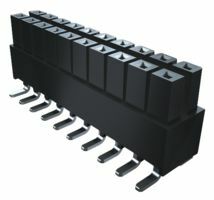 The connectors can be native of the EAP actuators or specific to the wiring system as specified in the above paragraph. 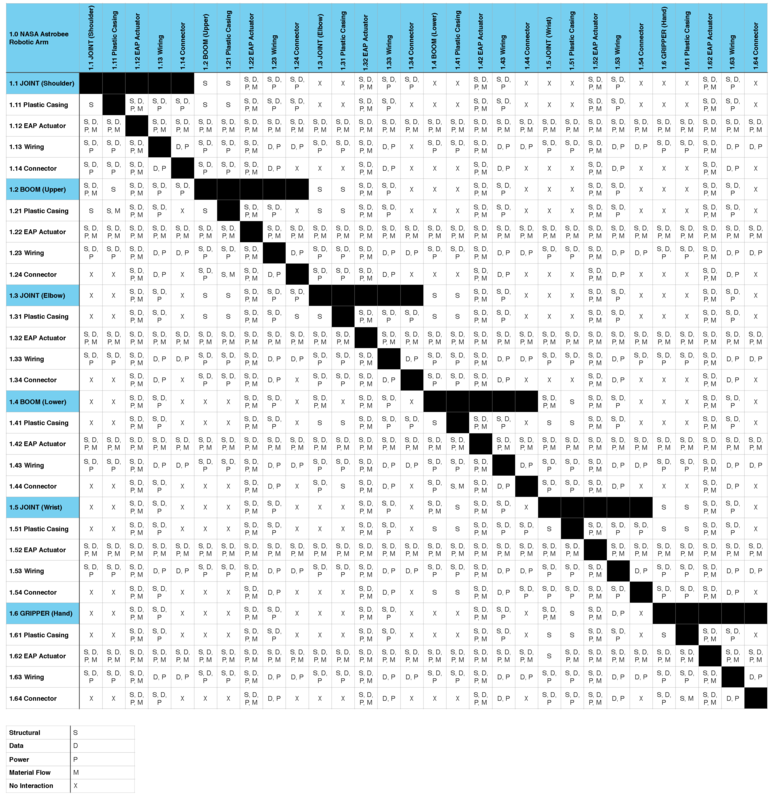 Expert decomposition requirements for skill-mapping for future iterations, design and buildout. Project Management – From conception to execution, hopefully like magic. Industrial Design – Interface and overall product design. Electrical Engineering – How they communicate with the nervous system of Astrobee; software & hardware self-updating and download. 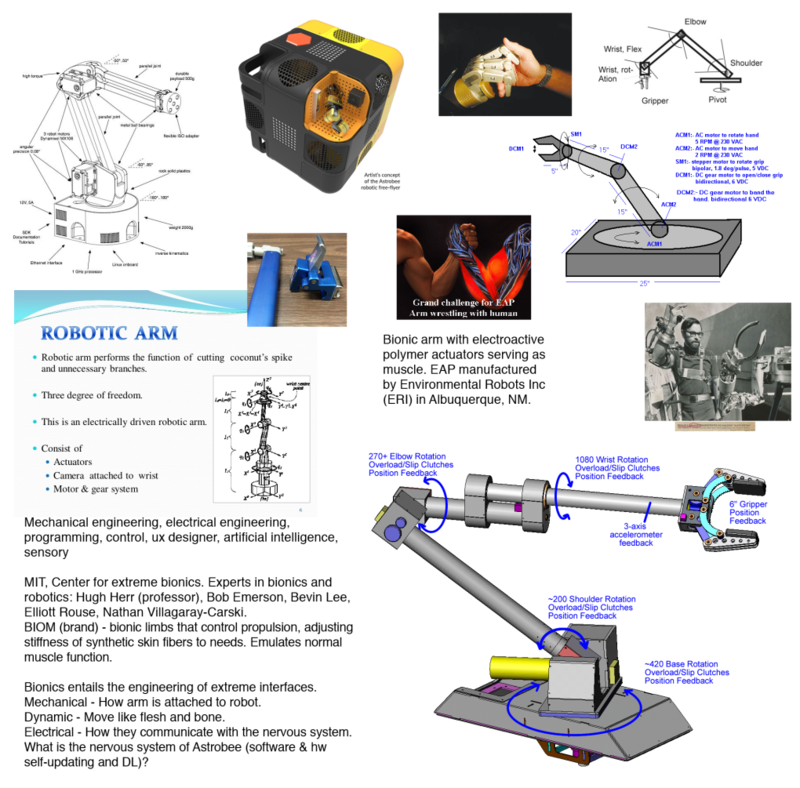 Mechanical Engineering – How the arm is attached to robot and functionality. 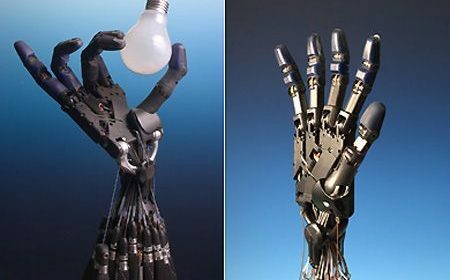 Robotics & Bionics Engineering – Strategising the design so that the robotic arm moves like flesh and bone. Aerospace Engineering – To test the usability and design in emulated future native environment and check materials to be upstanding to space environment. Artificial Intelligence Programming – For software and hardware configurations. Being responsive to voice commands would be ideal for extreme situations, or even leisure. UX Design – Ensure a positive, quality user experience to be enjoyed by the Astronauts. 1) MIT, Center for extreme bionics. They are experts in bionics and robotics. Point-of-contacts are Hugh Herr (professor), Bob Emerson, Bevin Lee, Elliott Rouse and Nathan Villagaray-Carski. 2) BIOM, who creates bionic limbs from EAP that control propulsion, adjusting stiffness of synthetic skin fibers to needs that emulate normal muscle function. 3) Parker Hannifin, or Parker Aerospace, a mechanical and industrial engineering company who encompasses Electroactive Polymer (EAP) Technology at www.parker.com/artificialmuscle (as specified previously). Lastly, thank you for allowing me to be a part of your user journey. This has been a wonderfully challenging experience learning about bionics, the aerospace industry and contributing my expertise to the NASA community.